Adds today menu in the center off top bar. 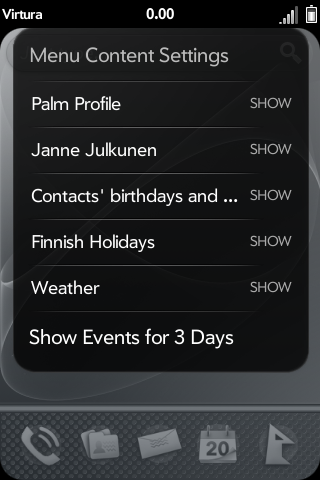 Today menu offers a quick view of your calendar events for the current day and for the next day. Menu can be edited to show events only from certain calendars.